Anything with horns can look a little devilish. 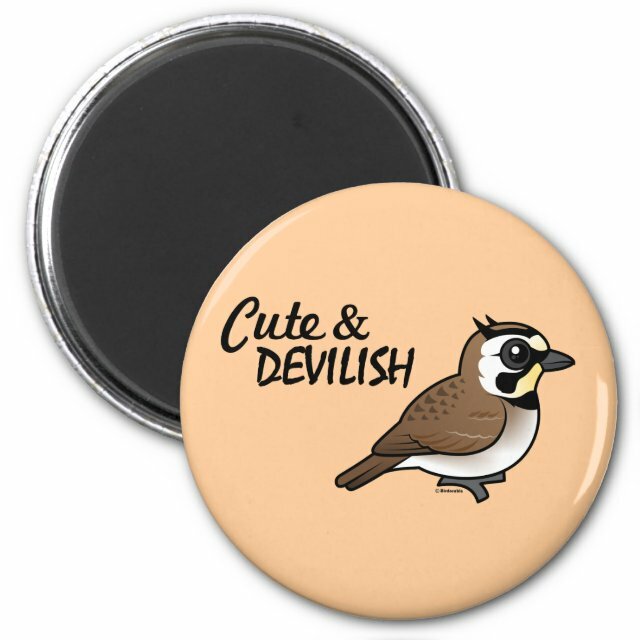 Take this Birdorable Horned Lark, for example. It's a totally cute cartoon bird, but those horns add a bit of mischief. This original design is great for anyone who's got a bit of both traits going on. You can customize this gift! Move the design around, change the background color or style, add text or images -- make it your own!